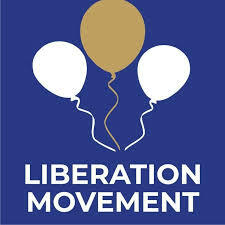 The Chairman of the Liberation Movement Party (LM), Lagos state chapter, Comrade Rahman Adewale Adebiyi has called on Nigerian electorates to ensure they use their franchise to correct the lingering anomalies in the society in the coming polls. Adebiyi, a Chartered Accountant and tax expert who said this in an interview in Lagos also called on Lagos electorates to eschew money politics and ensure that credible people are voted to direct the affairs of the state. According to him, his party, the LM, has what it takes to lift the state from its current parlous state to the desired economic liberation that will throw open the gate of economic independence for the failing state. He called on the Nigerian people, particularly the youth to patronise his party which, according to him, holds the key to the glittering future for them through participatory politics. Adebiyi however urges Nigerians not to yield to the ongoing scheming by some politicians to buy their PVC, noting that indulging in such risky venture amounts to selling their future for a momentary gain. “I urge the electorates to be resolute in the resolve to midwife a better Nigeria that will guarantee a better life for the generality of the citizenry. We should defend our future by defending our votes. Don’t sell your PVC. The money you collect today may stand against a blissful future,” he said.